This is not only a cool album, but a very cool “must listen to album.” Roddy Frame was the genius behind the project called Aztec Camera he started at age 17. They released six records as a band, with interchangeable parts and he was central in songwriting, playing and producing. 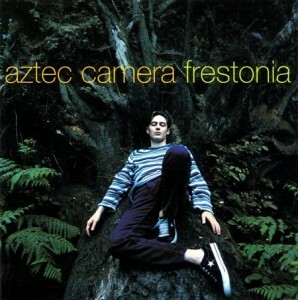 I have all six and only discovered this early this year, even though it was released in late 1995, and is the last Aztec Camera record, but in my humble opinion, their best. If you have a short attention span, take tracks one, eight and ten for a spin and you will be hooked enough to listen to the rest and not just once. I had the good fortune of a long drive to hear it in its entirety the first chance, and I could tell it was tasty. With my second spin, I came to the conclusion that the first track is one of the best songs ever written. Track one, “Rainy Season” starts with the piano playing the melody, gives a chilling vocal intro and goes from rock to jazz to gospel to pop, then kills it in the end with a guitar solo that will surely make people ask, “who is this?” The remaining tracks are extremely well written and played, incredibly infectious and very catchy. What also will capture your ear is none are too short or too long, giving all the time needed for the songs to find and make their way. If you heard the band before you may expect acoustic or piano ballads, but even the songs that start slow hear go to a different place. Roddy has the exceptional capability to make his voice not only an extra instrument, but often the best feature. “Phenomenal World’ is number eight, and it has one of the best pop hooks ever written, surrounded by really great guitar riffs. It may recall “Get out of London” from Stray, but it really should have been on pop radio, more so than another pop tune of his, also great called “Somewhere in my Heart” from the record Love. The last song, “Sunset” is so familiar a song, it may tempt you to go back and listen if to see if you already heard it. You heard something similar; it was from a long time ago, a band called The Beatles. Frestonia is a community in Notting Hill district of London. Roddy is from Scotland. Many of the songs have that across the pond, romantic and nostalgic feel to them. So what, they are beautiful and we are lucky enough to hear them. Many have love song lyrics, all of them you will love. This is a very cool album. 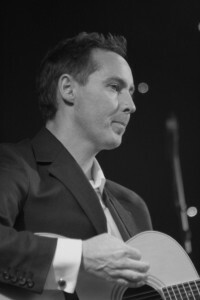 All tracks written by Roddy Frame.